Artistic Director John LaForge is the seventh conductor in the history of the Lanier Chamber Singers. He also serves as Director of Worship Arts at Gainesville First United Methodist Church. 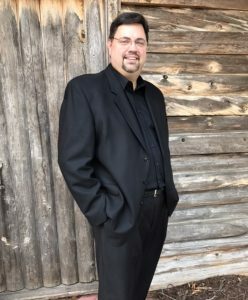 From 2008 to 2017, Mr. LaForge was associate conductor for The Michael O’Neal Singers, a 155-voice symphonic chorus in Roswell, Georgia. In addition to his work as a conductor, Mr. LaForge has enjoyed a prolific career as an opera singer, having performed with opera companies throughout the United States, including The Atlanta Opera, Washington National Opera, Dallas Opera, Santa Fe Opera, Central City Opera, and Chautauqua Opera, among others. Mr. LaForge also has an extensive background performing oratorio and art song repertoire. For nearly 20 years, he has appeared frequently as a soloist in and around metro Atlanta, including performances with The Michael O’Neal Singers, Atlanta Ballet, Georgia Philharmonic, and Capitol City Opera. More recently, he has performed in multiple seasons as a guest artist with the Amalfi Coast Music Festival and as a soloist and conductor on programs with MOS during tours in Austria, Italy, and Spain. Mr. LaForge spent 15 years working in K-12 education, foremost as Coordinator of Music Education for Fulton County Schools. He has supported music initiatives with numerous arts organizations in the Atlanta area and nationally, including The Metropolitan Opera National Council, the National Partnership for Music Education, the Atlanta Opera Education Committee, the Atlanta Symphony Orchestra Community Engagement Council, and Spivey Hall.